Hysterectomy is a surgery to remove the uterus. Hysterectomy is done for many reasons; heavy or painful menses is the most common reason for hysterectomy. Uterine fibroids are the most common reason for having heavy painful periods. Uterine fibroids are benign muscle growths that grow in the muscle wall of the uterus. 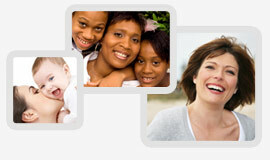 Fibroids are found in the uterus in all different sizes and locations. Fibroids cause heavy bleeding by getting in the way of the body’s ability to stop itself from bleeding once the period starts. Usually fibroids that are close to the cavity or the lining of the uterus (endometrium) are the ones that cause the heaviest bleeding. Ultrasound is the best way to diagnose fibroids and should be done anytime heavy periods are present. Heavy painful periods can also be caused by a condition called adenomyosis. Adenomyosis is a condition where the cells from the lining of the uterus (the endometrium) instead of shedding and bleeding as a period, are misplaced into the muscle wall of the uterus. When a period happens with adenomyosis, the body’s normal way of stopping the bleeding cannot occur. Since the muscle wall of the uterus stops bleeding at the junction of the endometrium and the muscle, the muscle is not able to stop the bleeding as effectively when the glands (endometrial cells) are located inside the muscle. Adenomyosis can only be suspected prior to a hysterectomy. The only way to truly diagnose it, is to look at the uterus under a microscope once it has been removed. The symptoms of adnomyosis are heavy painful periods with a normal uterus on ultrasound. 1. The uterus is removed so no new endometriosis can form. 2. The lining of the uterus and the endometriosis cells both grow in response to the cyclic hormones, estrogen and progesterone, that come from the ovaries. When there is no estrogen and progesterone to stimulate the endometriosis, the cells do not bleed. When the cells do not bleed they become inactive and do not stimulate the body’s inflammatory reaction. The pain with endometriosis is more likely to be decreased when the uterus and ovaries are removed because the endometriosis is inactive.